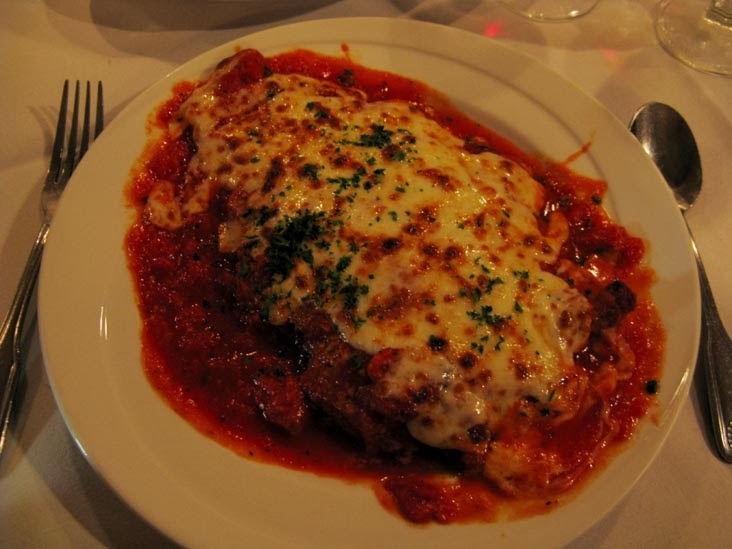 Chicken Parmigiana, Spaghetti and Meatballs and Penne Bolognese are classic Italian dishes. But, try to find them on menus other than in pizza shops these days and you'll either be hard pressed or if you do, then you might be disappointed (chicken is thick, not breaded, light on the cheese- you follow, right?). 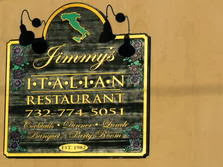 That is why during the many times we've gone out to eat in Asbury Park we've said we must try Jimmy's Italian Restaurant. 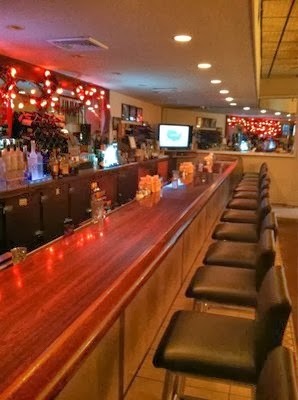 It's has an "old-school" menu with all the classics you'd expect, it always has a crowd, and it's been around for more than thirty years! Well, this past Sunday we finally went, and I can tell you...we'll be back! We kept it simple (since we were dining with our little boys), and just ordered house salad and chicken parmigiana. The salad was nice ( mixed greens, topped with black olives, red onions, roasted red peppers, and mushrooms- we ordered ours topped with salami and cheese as well) and we had it with the house dressing (a thick anchovy-Ceasar)...delicious! Next was our chicken parmigiana- nice and thinly pounded out- lots of cheese, and marinara that has me salivating just writing about it. We both ordered penne marinara on the side and the pasta was nice and al dente. We also had a good bottle of wine, and the bread was hot and fresh right out of the oven. As for the look of the restaurant- you may drive right past it, or reconsider when you see the non-glamorous exterior. 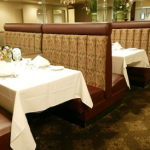 Once inside, the ambiance is nothing fancy either, but you have your choice of booth or table in one of three rooms (the first is where you enter with a bar, the second is what I consider the nicest of the three, and the third makes me feel like you're in a banquet hall)- nevertheless, I go to restaurants more for the food than the ambiance.